Mr. Robert W. Morgan of Green County, Kentucky, son of the late Cova Morgan and Cecilia Vanarsdale Morgan, was born on Thursday, September 6, 1952 in Green County and departed this life on Saturday, September 8, 2018 at the Lake Cumberland Regional Hospital in Somerset. He was 66 years and two days of age. He had made a profession of faith in Christ and attended the Summershade United Methodist Church. He was formerly employed with the Wynn Milling Company. Survived by his wife of 48 years, Carolyn Sue Simpson Morgan, having united in marriage on February 14, 1970. Other survivors include three sons and a daughter-in-law: Tony and Stacy Morgan, Keith Morgan, and Justin Morgan all of Greensburg; four sisters and three brothers-in-law: Darlene Bastin of Tennessee, Sharon Fay and Clyde Gibson of Shepherdsville, Donna Jo and Greg Muse of Glasgow, and Suzanne and Haskel Runyon of Hiseville; two brothers and a sister-in-law: David L. Morgan of Bowling Green, and Ronnie and Grace Morgan of Hiseville; five grandchildren; two great-grandchildren; and a host of other relatives and friends. 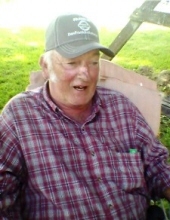 The funeral services for Mr. Robert W. Morgan will be conducted at 2:00 P.M., Central Time, Wednesday, September 12, 2018 at the Cowherd and Parrott Funeral Home with burial to follow in the Greasy Creek Cemetery. Bro. William Davenport officiating. Visitation is requested from 3 P.M. until 8 P.M., Central Time, Tuesday at the Cowherd and Parrott Funeral Home and after 7 A.M., Wednesday until time of the funeral service. To plant a tree in memory of Robert W. Morgan, please visit our Tribute Store. "Email Address" would like to share the life celebration of Robert W. Morgan. Click on the "link" to go to share a favorite memory or leave a condolence message for the family.